Nurture’s Tertia Albertyn attended the recent ESHRE conference – one of the world’s leading infertility forums. Here she tells about the meeting, and what the trends are. What is ESHRE, and why did you go? 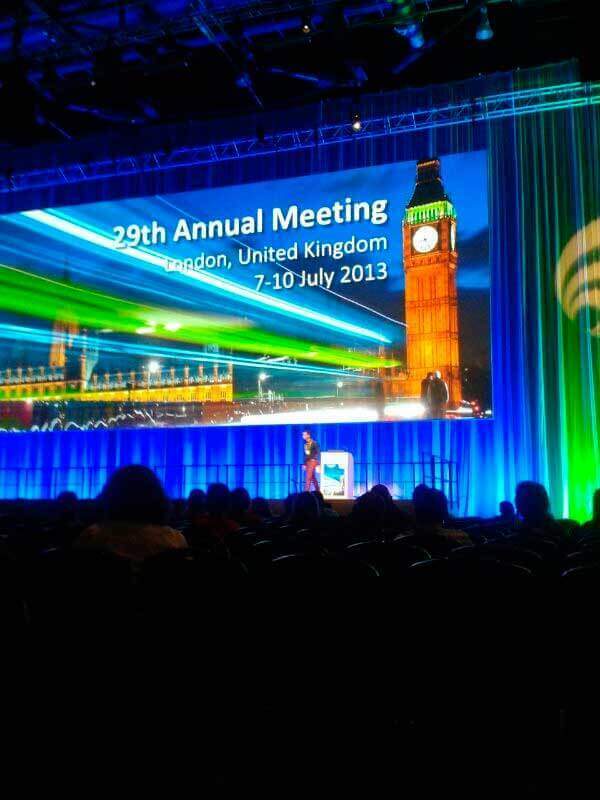 ESHRE is the European Society of Human Reproduction and Embryology, and their meeting was held this year in London. It is now the world’s leading event in reproductive medicine, and has more than 9 000 experts attending, with many presenting a huge range of research and development into infertility. Were there a lot of South African representatives? There weren’t any other egg donor agencies there, but there was quite a large South African contingent of doctors and technicians. Is there a next big thing in infertility treatments? Do you think that from what you see overseas, that our fertility clinics are world class, or on a par with what leading UK and US clinics? Was there much about egg donation covered? There was a very interesting presentation about research into a single dose, long acting stimulation drug brought out by Merck. This could be really useful for egg donors as it is far less invasive and it is also cheaper in the longer term, which means it has benefits for the donor egg recipients as well. You can read more about it here. How is Nurture doing in the UK? Do you have enough donors? How is that process of egg donation compared with the one here? It is still early days, but our UK program is doing very well. We are always in need of more donors as the waiting list for eligible donors is so long. If there are any young women in London between the ages of 20 and 34 who would like to donate their eggs, please encourage them to visit our site here. Do you have any other trips lined up? I am back to London in November for The Fertility Show.